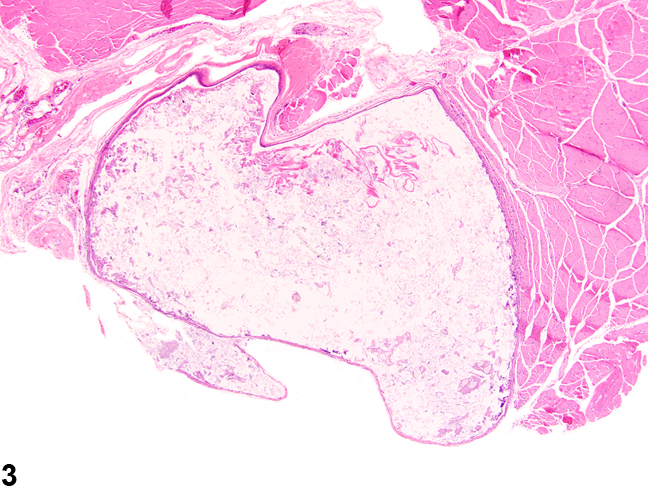 eletal muscle - Cyst in a female F344/N rat from a chronic study. 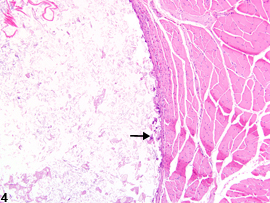 A thin-walled epithelium-lined cyst is present within skeletal muscle. 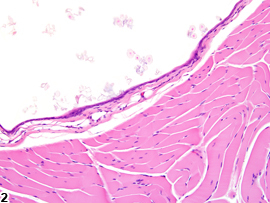 Skeletal muscle - Cyst in a female F344/N rat from a chronic study (higher magnification of Figure 1). 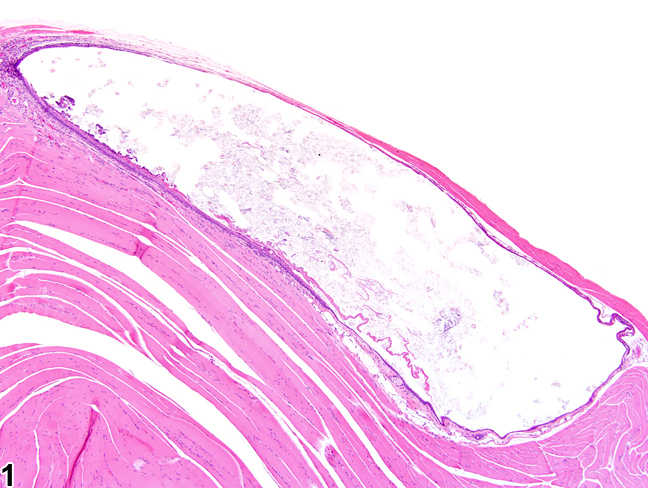 There is a flattened epithelial cyst wall with cross sections of hair within the lumen. 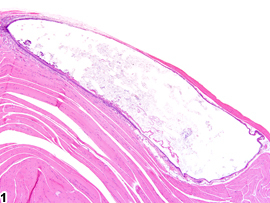 Skeletal muscle - Cyst in a female F344/N rat from a chronic study. 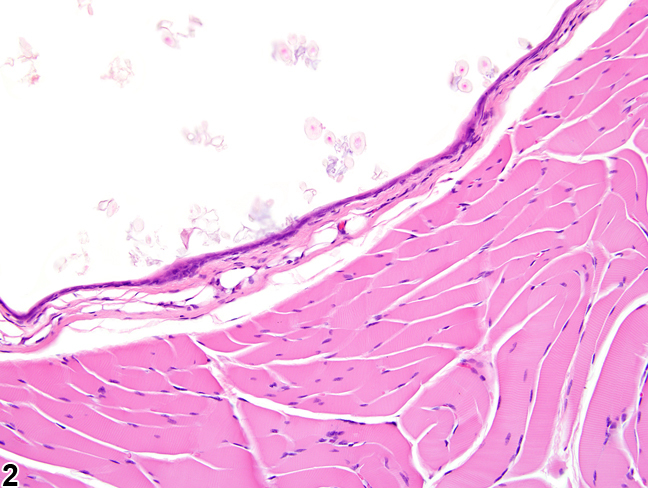 A thin-walled cyst partially lined by flattened epithelium and containing keratin debris is present. 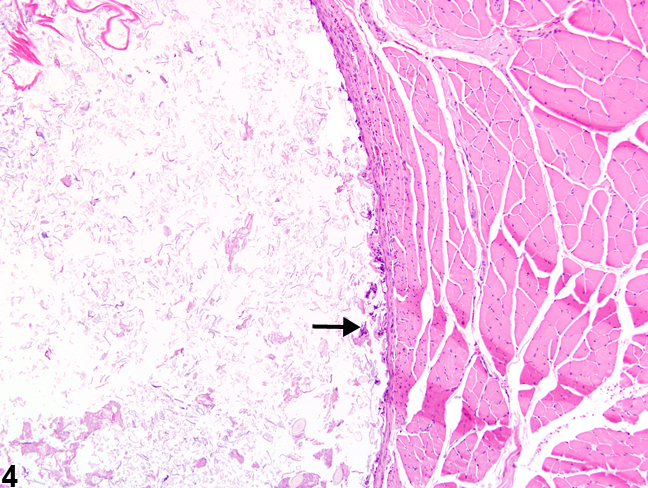 Skeletal muscle - Cyst in a female F344/N rat from a chronic study (higher magnification of Figure 3). There is necrosis of the epithelial lining (arrow) and keratin debris within the lumen of the cyst.